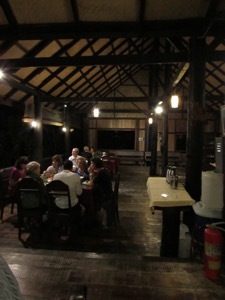 Nong Kiau Riverside Resort Restaurant is a good spot for dinner in Nong Kiaw if you’d like a nice atmosphere and alcoholic drinks (Deens and Chennai Indian restaurants have strong recommendations from others but don’t allow alcohol). 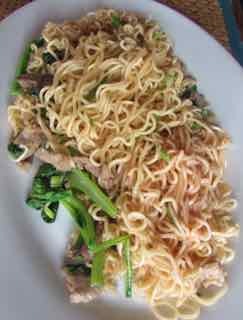 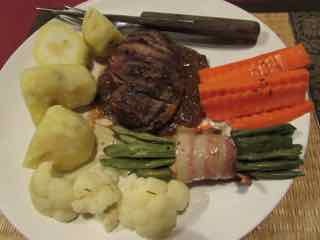 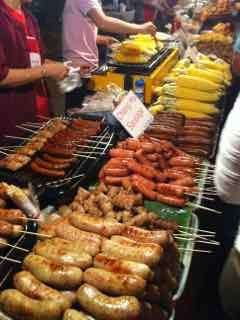 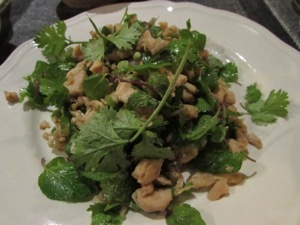 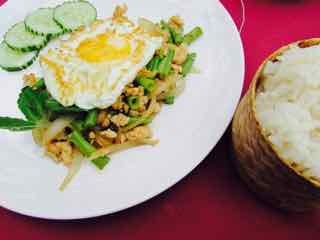 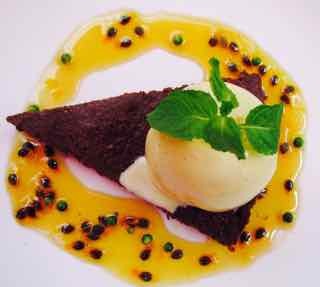 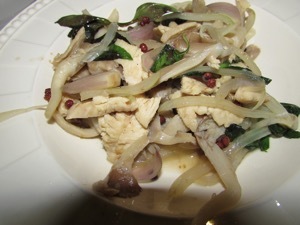 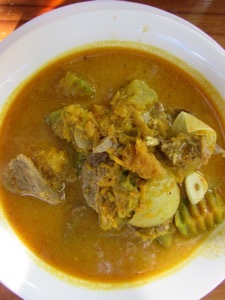 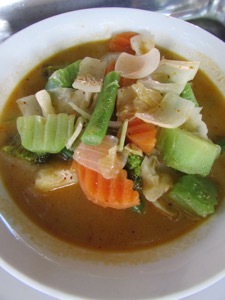 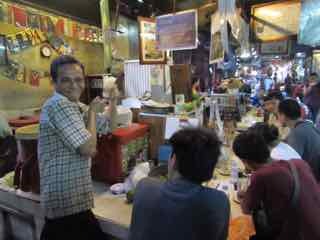 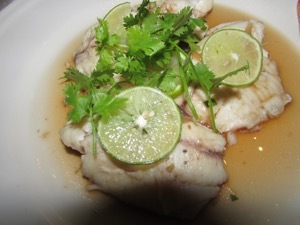 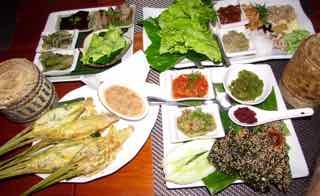 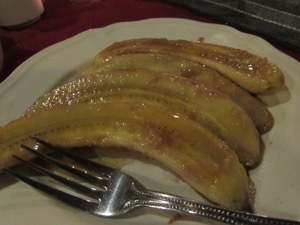 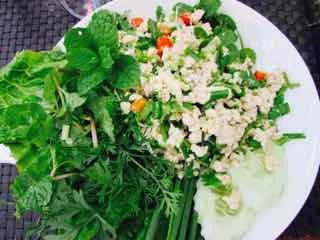 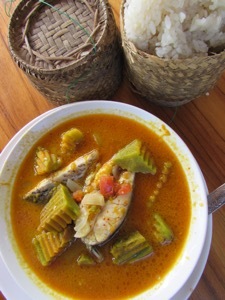 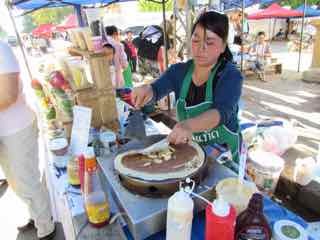 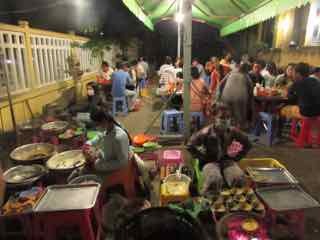 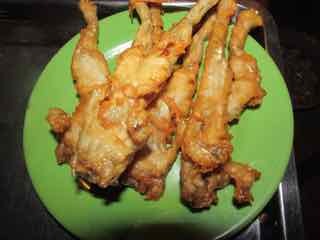 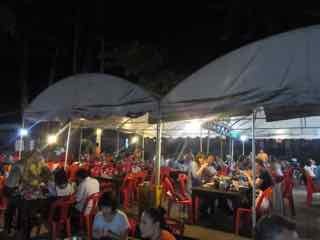 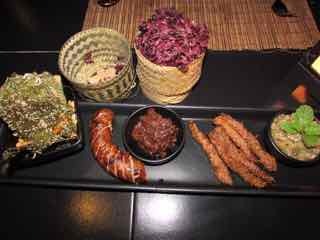 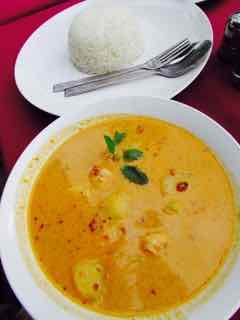 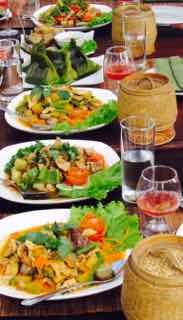 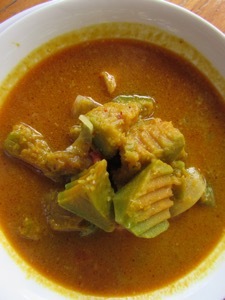 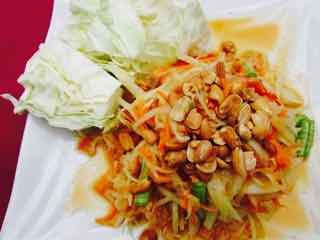 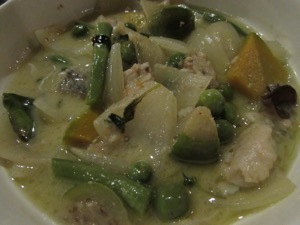 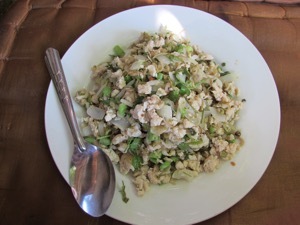 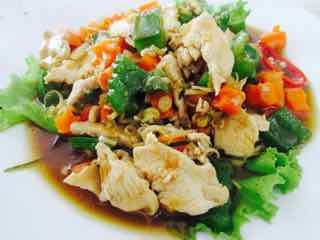 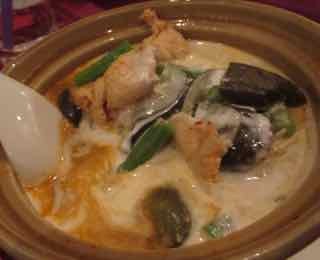 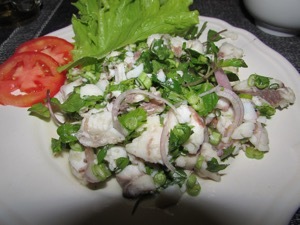 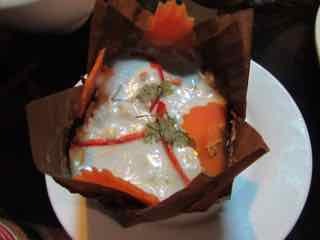 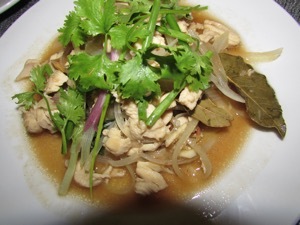 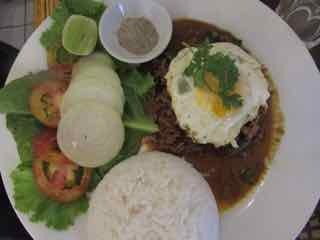 It has a large menu that includes western and general asian dishes.The Lao menu is only short. 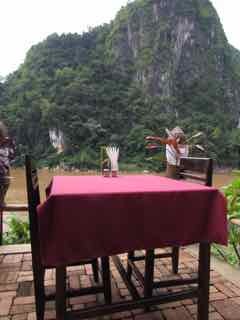 Prices are average and quite good for this lovely setting. 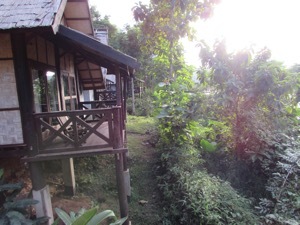 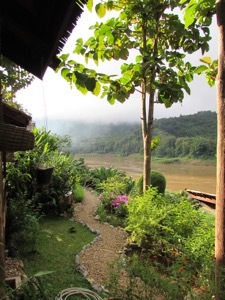 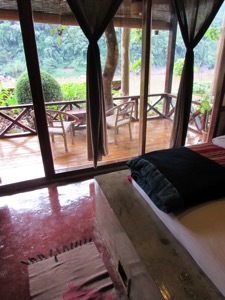 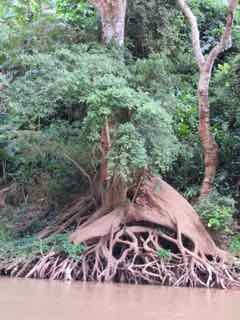 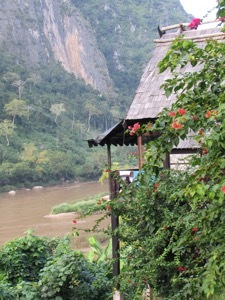 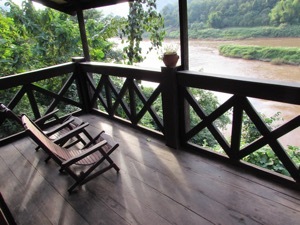 Another good spot to say in Nong Kiaw is the Nong Kiau Riverside Resort. 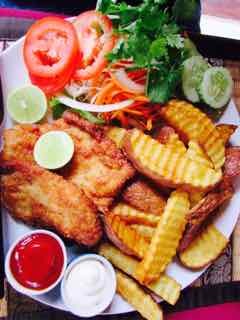 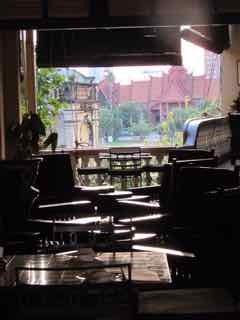 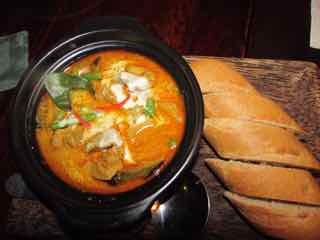 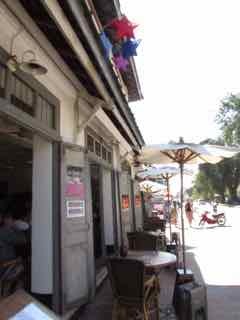 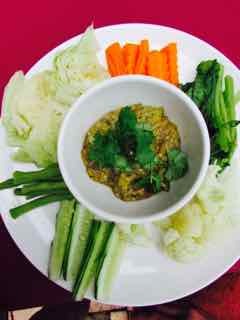 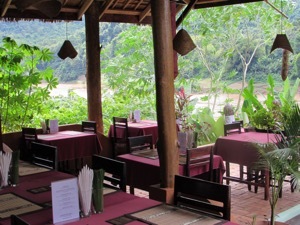 Centrally located at the bridge in town it is convenient to restaurants a few minutes walk away like Deems Indian and Chennai Indian (both don’t allow alcohol) and Vangmany ( Lao food) just at the end of the bridge and has great views of the river. 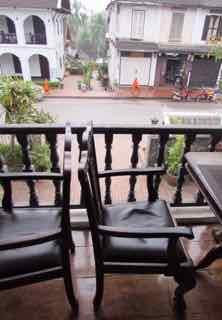 There’s a heritage feel to the rooms that all have lovely balconies. 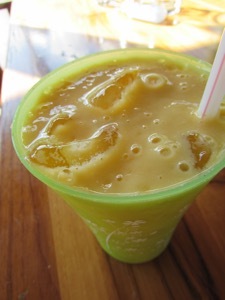 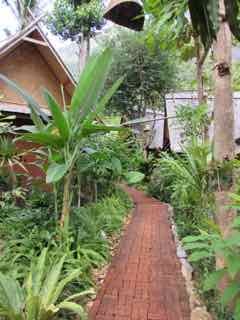 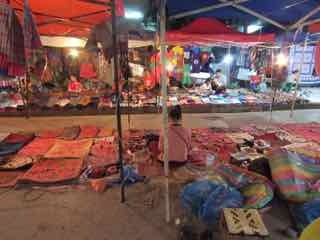 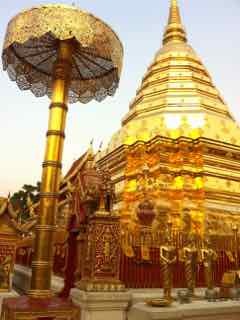 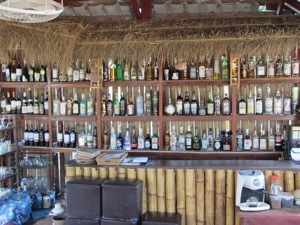 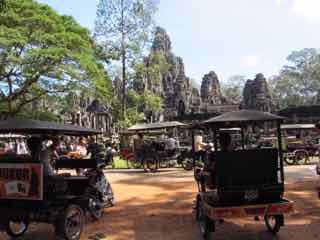 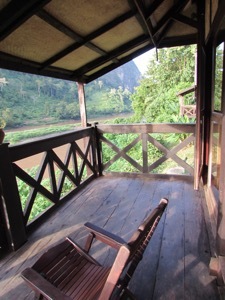 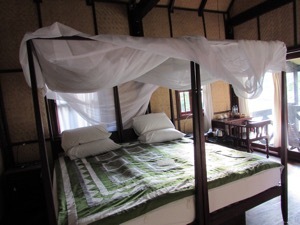 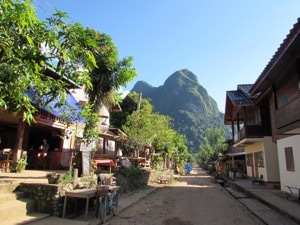 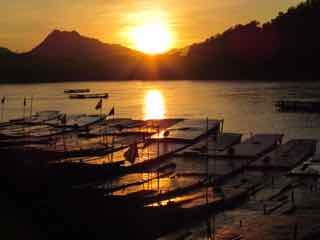 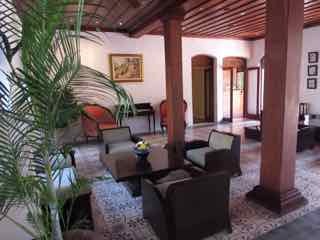 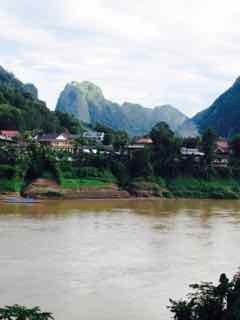 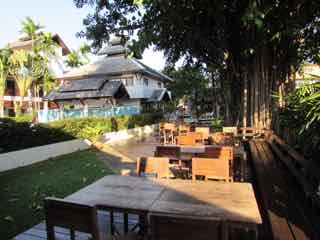 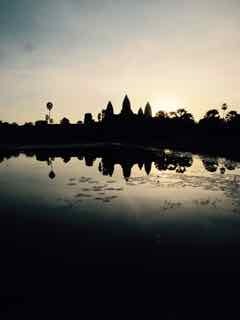 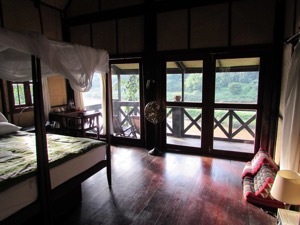 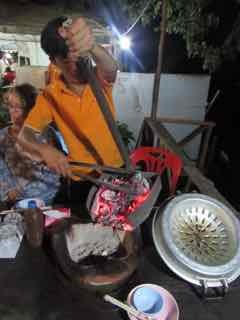 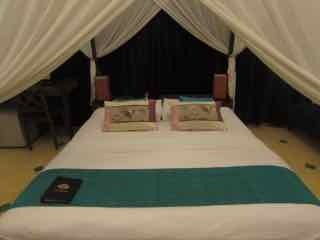 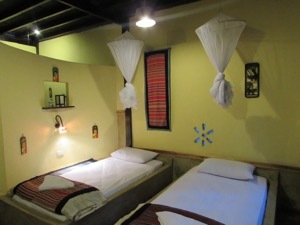 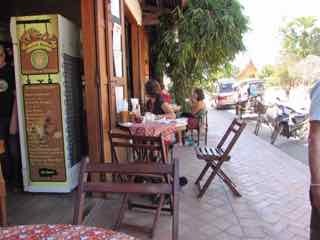 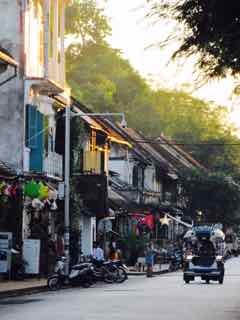 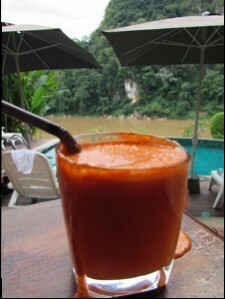 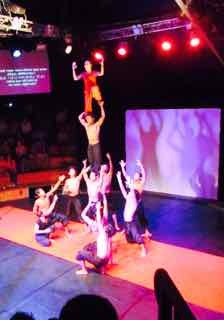 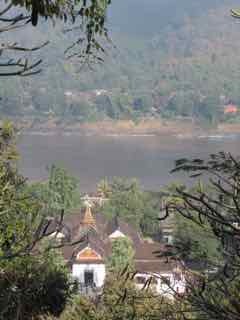 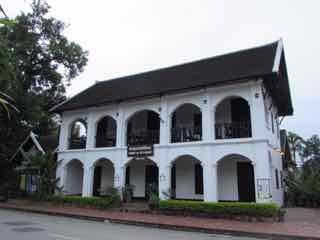 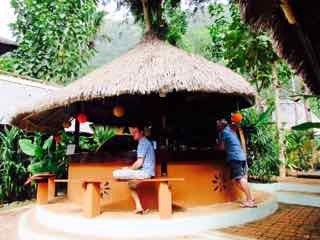 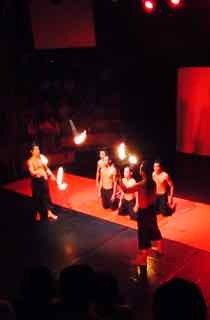 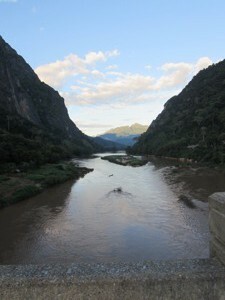 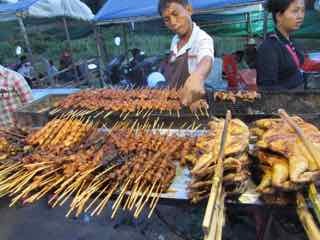 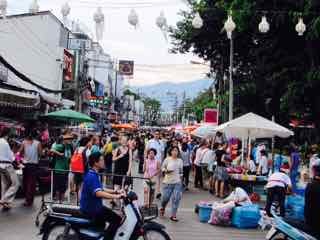 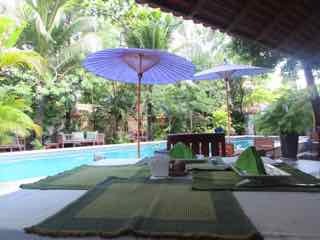 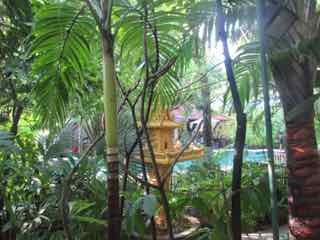 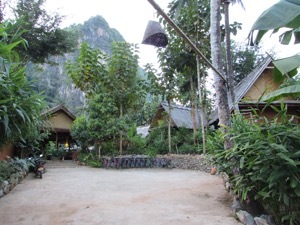 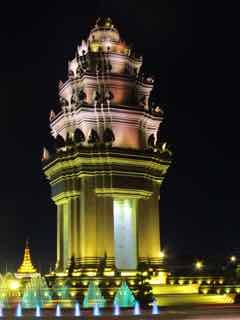 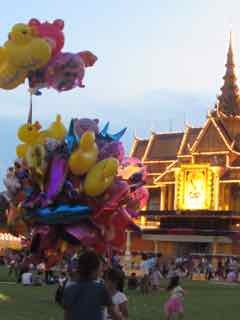 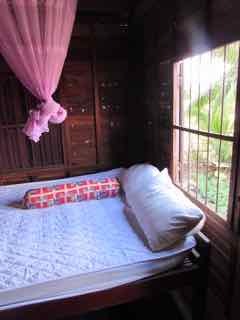 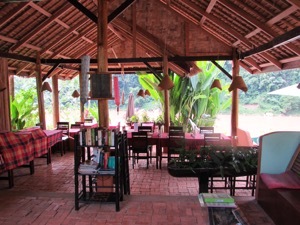 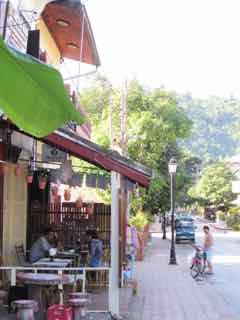 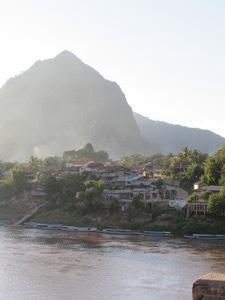 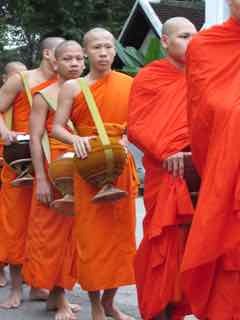 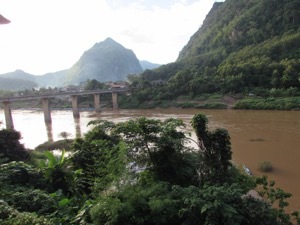 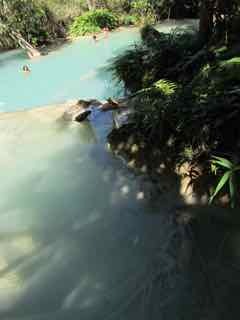 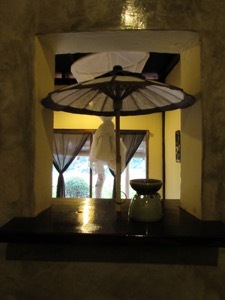 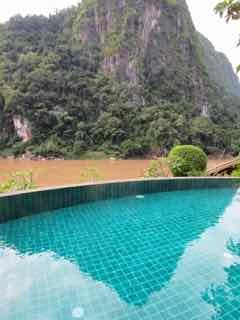 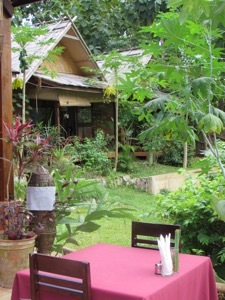 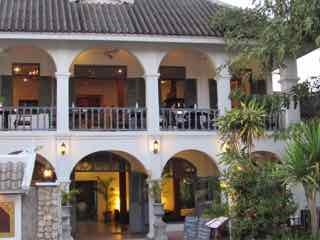 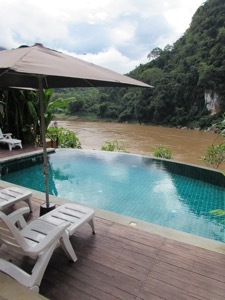 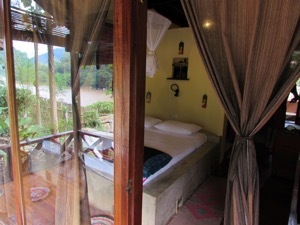 It is well priced and offers a pick up from Luang Prabang (for around $220 US return). 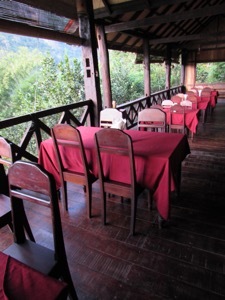 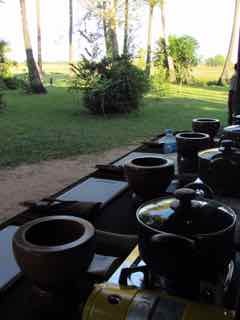 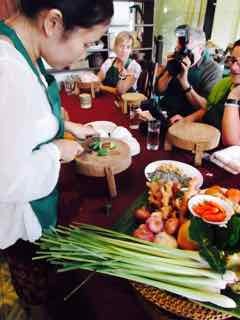 There’s a safe and tea making facilitates in the room and a lovely restaurant with a good menu and great river view. 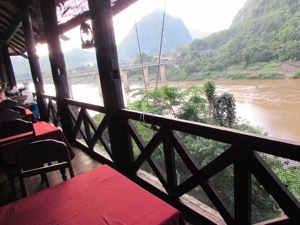 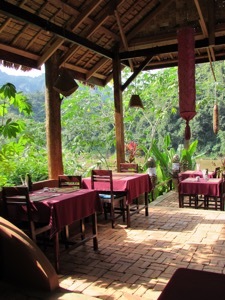 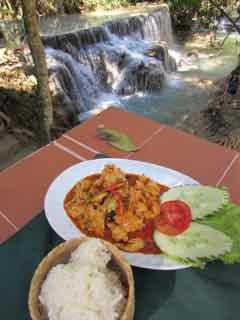 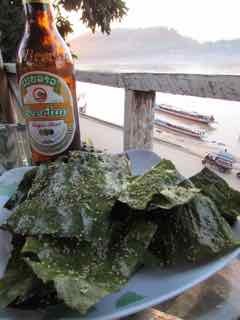 Muang Ngoi’s Riverside Restaurant is Lonely Planet’s top pick ( probably rightly so) for eating in Muang Ngoi, particularly for it’s great river views. 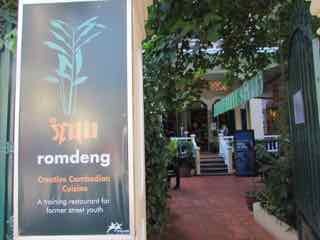 The Chicken Laap is the standout dish and the coffee is great and the mango lassi also very good and there’s a well stocked bar. 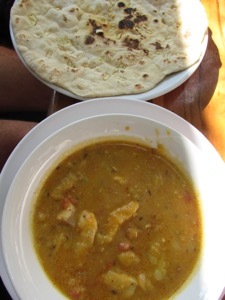 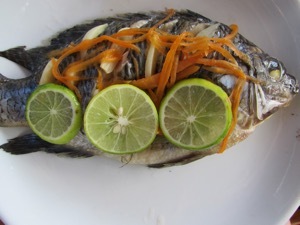 Pumpkin curries with fish or chicken and the fish with lemon is OK.
…and the Chicken Marsala and Orlam are just OK.
As you go up the path from the boat look for the signs on the right. 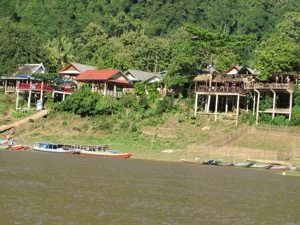 It’s a wooden building jutting out across the river, at the far right in the photo below. 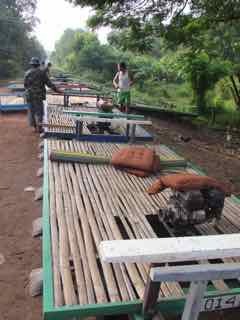 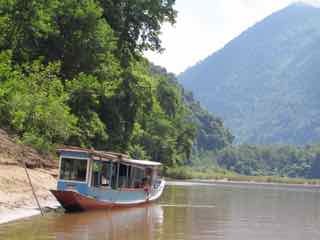 Don’t miss the opportunity to take a boat ride from Nong Kiaw upriver to Muang Ngoi and Sop Jam for 550,000kip approximately $82 for the day for the boat and driver. 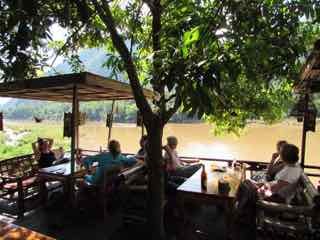 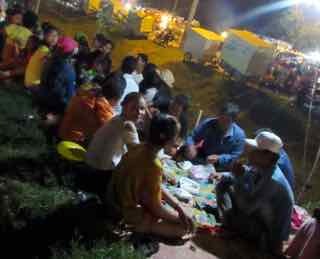 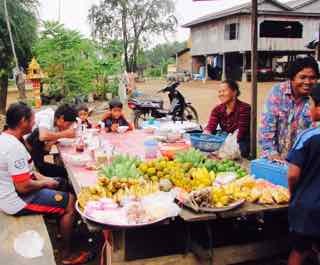 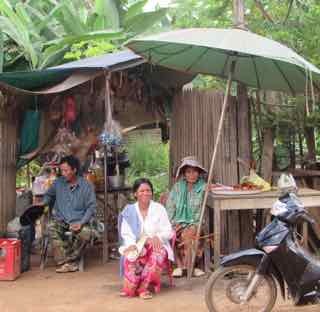 Stop at a Sop Jam to buy woven textiles for around 40,000-50,000 kip each and have lunch at the Riverside restaurant in Muang Ngoi on the way back. 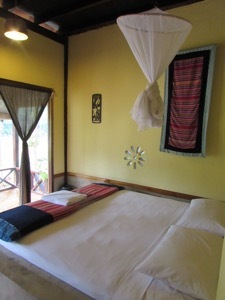 Your accommodation hosts can help you with the arrangements. 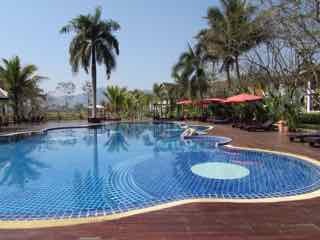 Recently opened around 12 months ago, Mandala Ou Resort is the prettiest and most luxurious accommodation in Nong Kiaw. 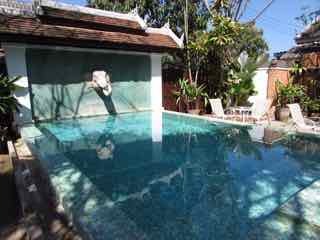 It also boasts Nong Kiaw’s only pool, which is lovely, especially if travelling with a group, but not essential in the cooler temperatures. 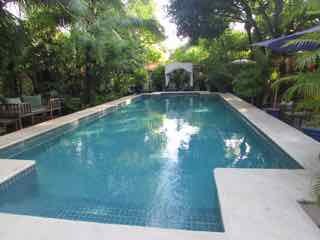 The pool is framed by an attractive bar area, making for a very welcoming, central spot to relax. 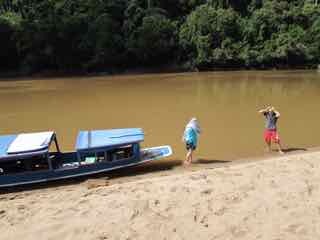 Nic and Kenny run a smooth and efficient ship. 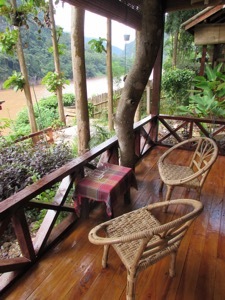 Nic has designed some beautiful individual villas that all have either a gorgeous balcony with a stunning view of the river or a garden setting with an upstairs studio area. 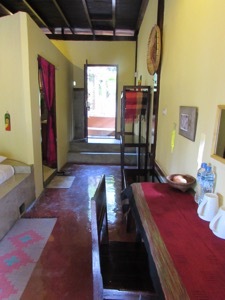 The textiles and decorating in the rooms are beautifully chosen. 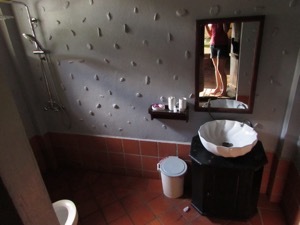 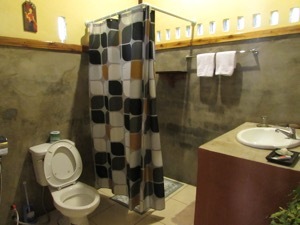 Hot water to the shower is provided by an efficient small electric heater. 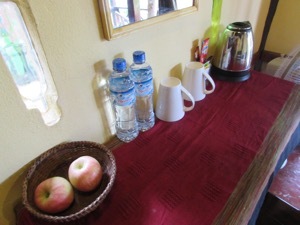 Tea and coffee making facilities are also available. 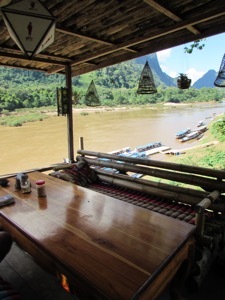 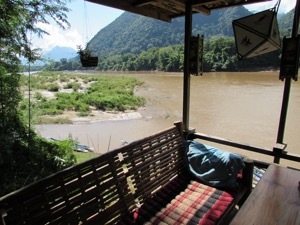 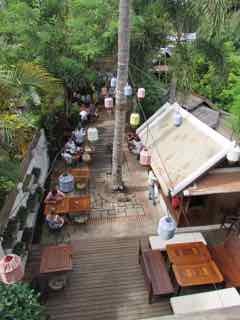 The restaurant has a great view out over the river and there are hammocks to relax in. 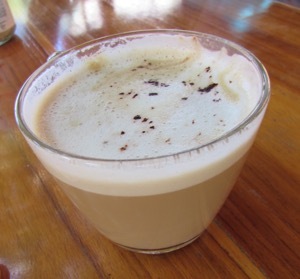 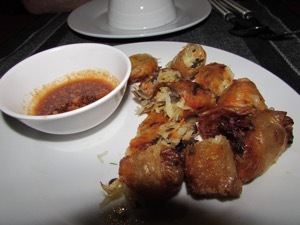 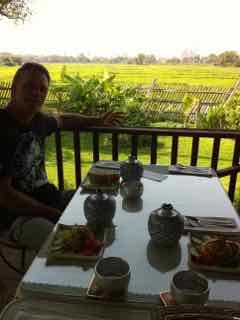 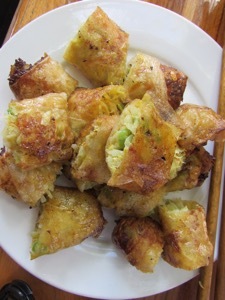 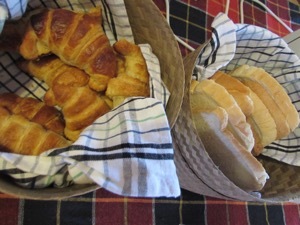 Breakfast (7:30-10:30) is included and has delicious warm croissants all the way from Le Banneton in Luang Prabang. 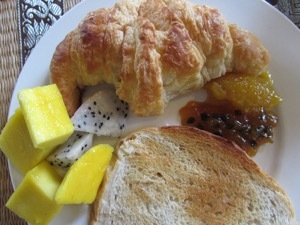 Nic makes his own bread and the homemade passionfruit and mango jams are wonderful. 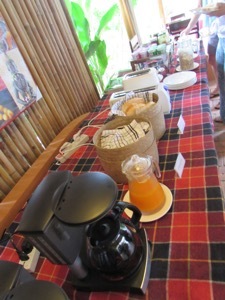 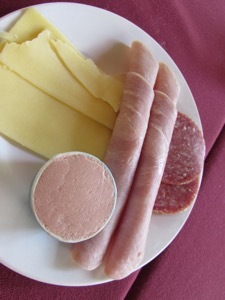 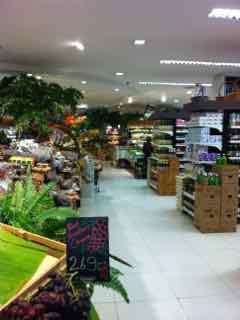 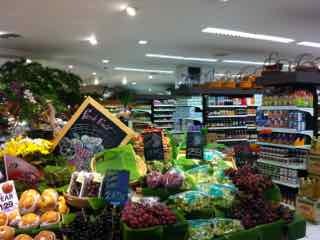 Fruit, yogurt , muesli and eggs made to order and a meat and cheese plate are also available for breakfast. 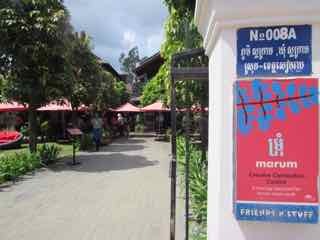 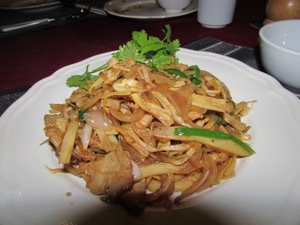 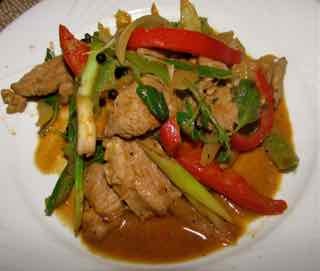 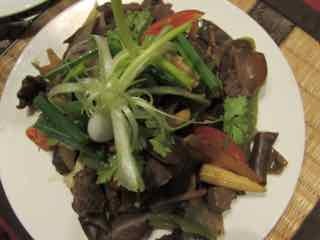 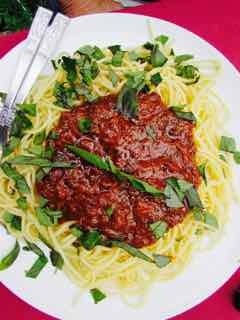 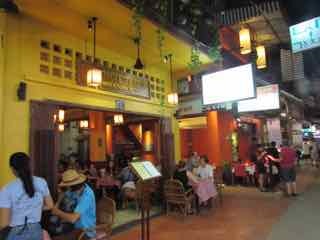 Lunch and dinner is available from a short menu and possibly the spaghetti, papaya salad and the beef and ginger stir fry ( mainly vegetarian) are the most tasty dishes. 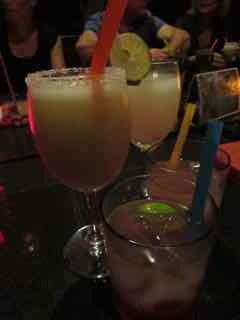 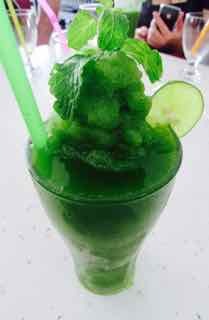 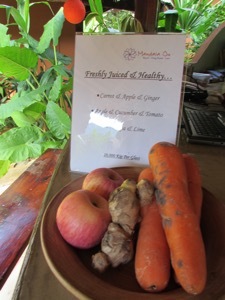 The bar provides a good range of drinks including some good fruit and vegetable combination juices like apple carrot and ginger. 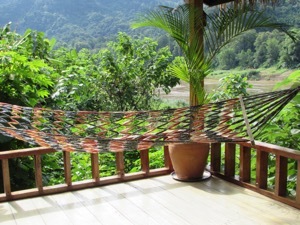 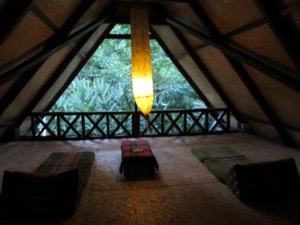 Filtered coffee is also available and hammocks to relax in. 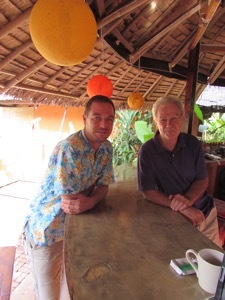 Nic ( ex Germany) and Kenny ( ex Australia) are very easy to communicate with and know what you need. 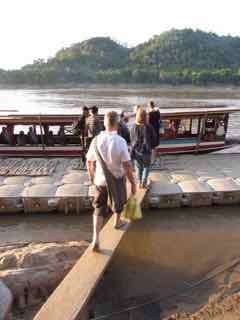 Nic is also excellent at organising transport and helping with any arrangements. 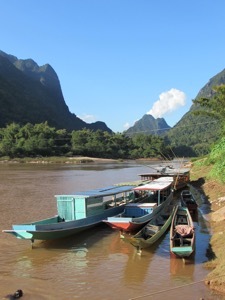 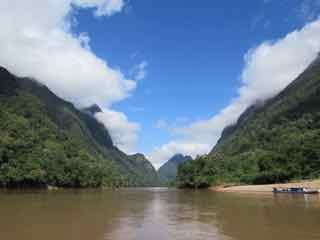 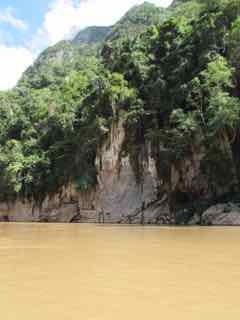 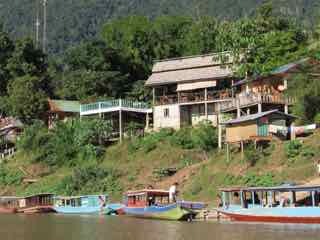 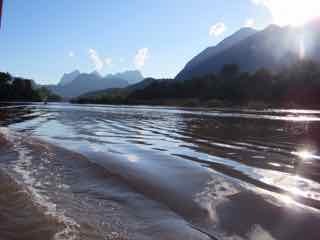 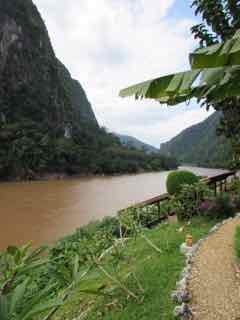 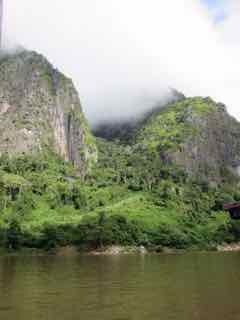 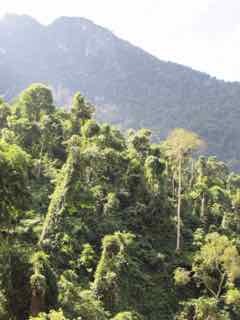 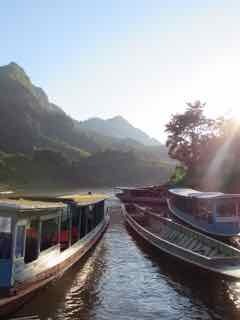 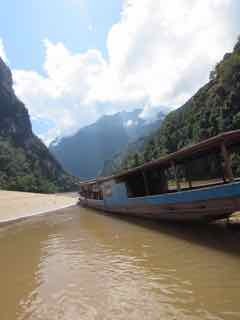 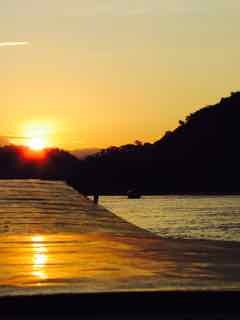 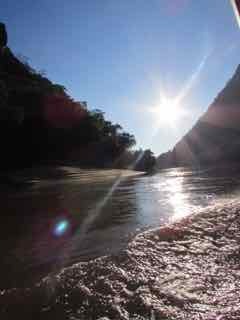 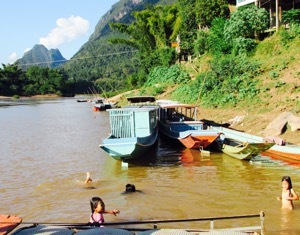 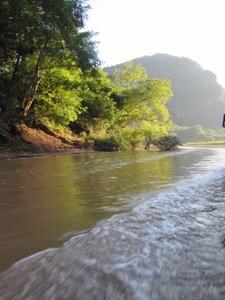 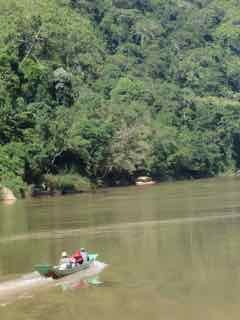 A boat trip up river to pretty Muang Ngoi (500,000 kip about $AUD 73) is well worth doing. 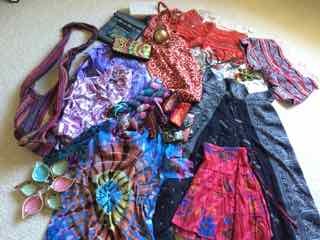 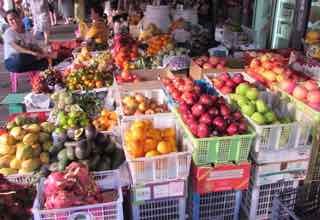 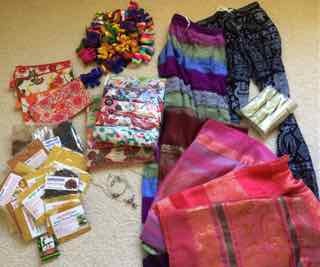 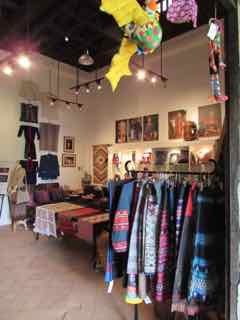 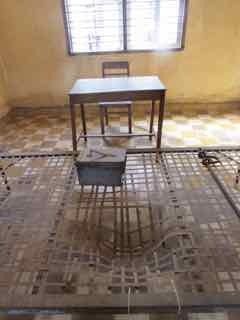 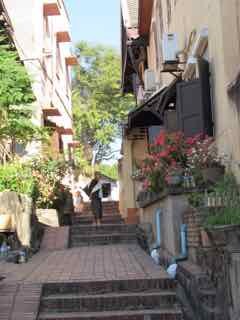 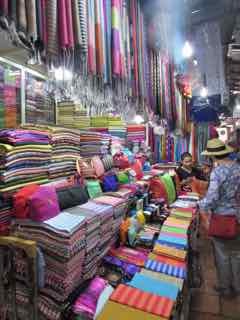 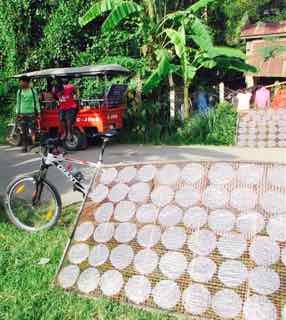 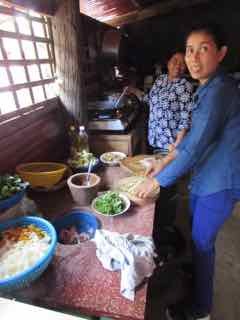 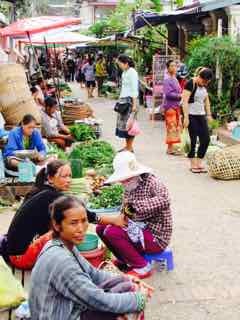 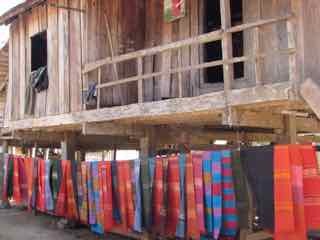 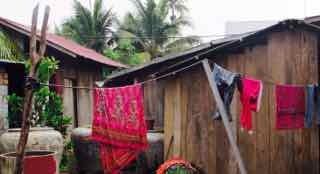 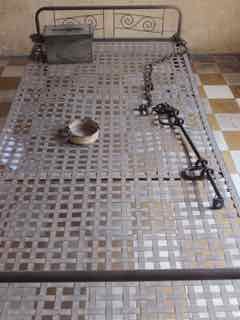 It includes Sop Jam for an extra 50,000 kip which has an interesting weaving industry and offers the opportunity to buy some lovely table runners/scarves. 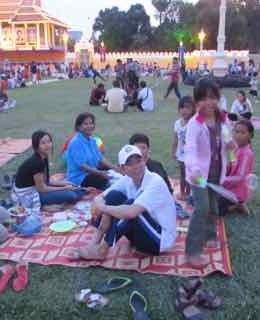 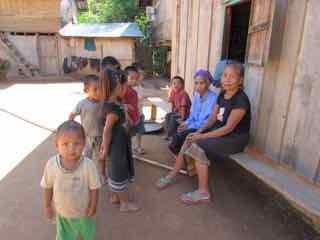 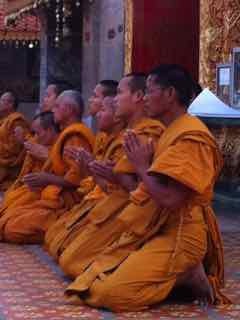 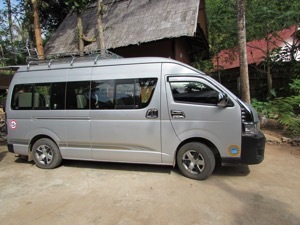 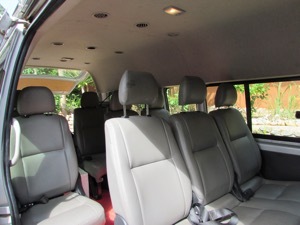 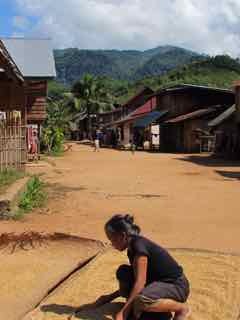 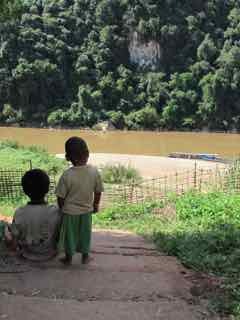 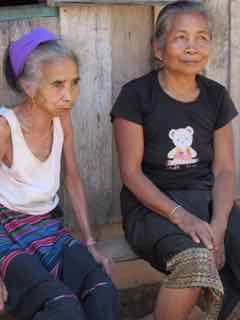 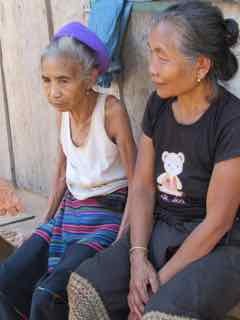 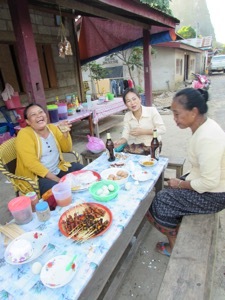 A comfortable minivan pick up ( seats 11 + driver) is $120US up and $100 US back to Luang Prabang. 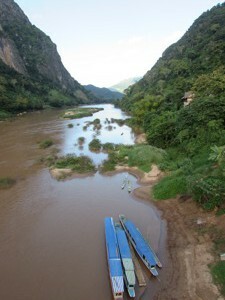 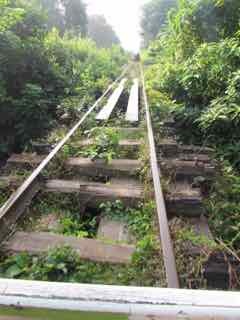 Sadly, you can no longer travel up by boat. 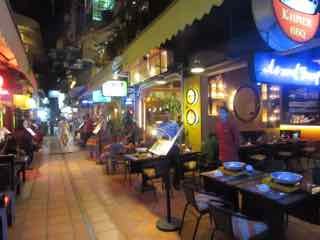 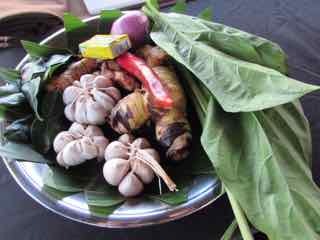 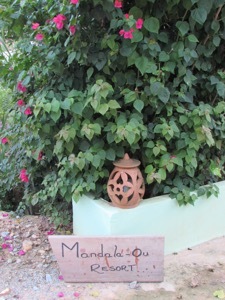 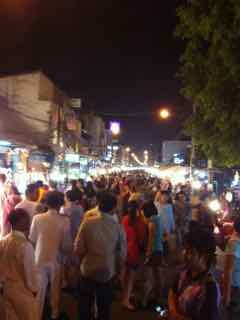 Mandala Ou is about 10-15 min easy walk from the centre of town where there are a number of frequently recommended restaurants like Deems Indian and Chennai Indian (both don’t allow alcohol) Vangmany ( Lao food) just at the end of the bridge. 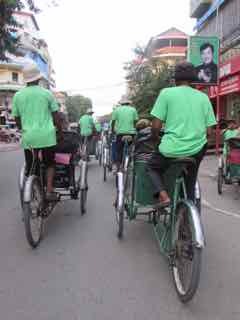 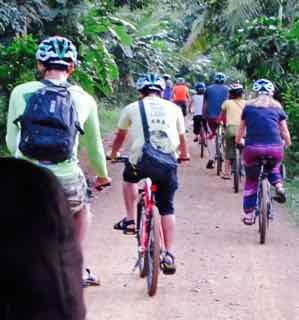 Complimentary bikes are also available from Mandala Ou. 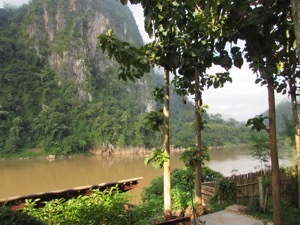 The bridge is great for views and boats leave to go up river from just below the bridge. 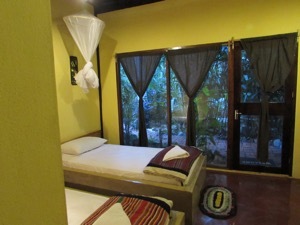 Mandala Ou Resort is highly recommended as a good spot to stay, it is cheaper to book directly at around $63 US for a river view room and $52 US for a fountain view room. 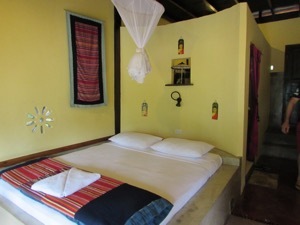 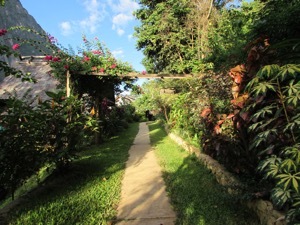 (30% discount as well as 3 nights for the price of 2, low season rates between 1 May and 30 September. 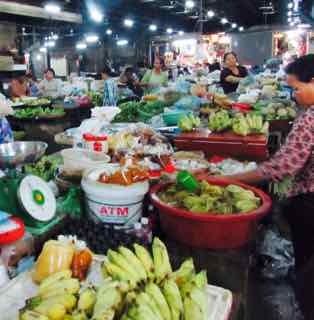 No credit card facilities but you are able to pay in a range of currencies at market value exchange rates. 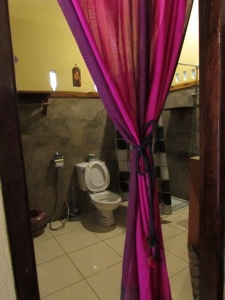 There’s no room safe, but I understand there are no safety issues with valuables. 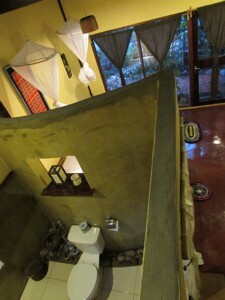 Also, be aware that the paths and bathroom floors can get very slippery when moist. 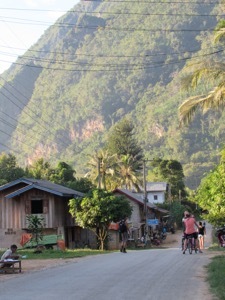 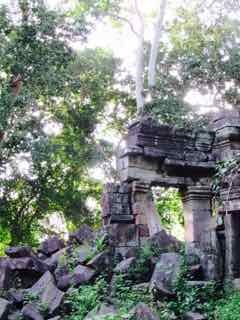 The entrance can be tricky to see, but it’s on the right coming into Nong Kiaw.